Many people have fantasized about how cool it would be to learn how to hypnotize others and in so doing, inspire them to try new things, overcome a bad habit or engage in their own lives with greater confidence. Experts like hypnotist Richard Barker know that these special skills require lots of practice and an understanding of the unique principles and techniques that go behind hypnotizing others. As you work to master these techniques yourself, you’ll find that the skills you learn are beneficial in many areas of life as you better understand how to charm others, gain their confidence, interact with a variety of personalities and become more convincing overall. So where do you start and what does it really take to hypnotize someone? Let’s take a look at what it takes to become a talented hypnotist. One of the most important aspects of successful hypnosis is to learn how to put your own thoughts and intentions aside and focus instead on getting in sync with the other person. Recognize that it’s not about you, it’s about them. People are very good at sensing when you don’t really care about them; when you aren’t sincere. As you work on your ability to connect with others from the moment you meet them, you’ll see how powerful it is when others feel seen and heard by you. A genuine interest in people is a must to be successful at hypnotism. Keep the other person engaged, and make them the focus of your interactions. We all get distracted. Everyone has lots of things to worry about and remember from one moment to the next. People are also susceptible to their moods changing on a dime from something as simple as being cut off in traffic or being late to work. When you want to be a successful hypnotist, however, you have to find a way to stay relaxed, calm and pleasant before you perform. If you’re stressed and distracted, it will show up in your body language and in your tone of voice making it impossible for someone to become relaxed or hypnotized in your presence. The best hypnotists have a relaxing, mesmerizing voice and presence that oozes confidence and assurance, so find a way that works for you to get in the right frame of mind before you interact with others as a hypnotist. In your day-to-day interactions, building rapport often means smiling and shaking hands, discussing a shared interest, or recalling a past memory. Building a hypnotic rapport is different. This is where you form a connection with the person’s unconscious mind; where the magic of hypnotism actually takes place. Perhaps you’ve noticed how there are two kinds of people you’ll usually come across when trying to start a conversation. With the first type, you can easily strike up a conversation and keep things flowing naturally. With others, it can be difficult to keep the conversation going, like pulling teeth trying to get them talking. Generally speaking, those who are easiest to talk to are those who are comfortable in their own skin on a subconscious level. They are able to communicate and project an aura of trust and security to you because they already feel good about themselves. As a hypnotist, you want to be like those who project a sense of trust, calm and security when speaking with others. People will be drawn to you and quite willing to do what you say when you present a confident and convincing aura yourself. If you’re going to be able to hypnotize another person, there are 3 crucial things you have to be able to do. This is where the “ABS Formula” comes into play. Hypnosis is a state of mind that is highly-focused and not aware of the outside world. You need to draw the other person inward toward their unconscious mind by first grabbing their attention. Without their full attention, you won’t be able to make an impact. To get someone’s attention you need to make eye contact, tell them a story or metaphor that they find interesting, steer and direct the conversation into something hypnotic and possibly show a picture or diagram. During this phase, you will bypass the critical factor which is part of the conscious mind. It’s the voice in your head that makes judgments and analyzing information. This part of your mind that tells a person their limitations, so this is the area you need to bypass and get to the subconscious mind. Many different techniques can help you bypass the critical mind including using powerful words, hypnotic themes, hot words and engaging stories. Once you’ve gotten the person’s attention and bypassed their critical mind, you’ll be able to begin stimulating their subconscious mind. This is the first part of really taking them into a hypnotic state. The whole ABS process is a fluid one which can take anywhere from mere seconds to several minutes. How Can You Tell When Someone Is Hypnotized? Many of these signs are trance signals that you’d describe to the other person by telling them things such as, “Your breathing is beginning to slow”. As you get comfortable using stories and metaphors and power words to prompt the hypnosis, this whole process will seem like second nature. If you’re serious about becoming a hypnotist, there is so much you can learn from hypnotist Richard Barker and his successful career as one of the best. To be really successful takes practice, patience, and dedication. Learn more about perfecting your hypnotism skills and how hypnosis can benefit yourself and the lives of many others. This entry was posted in Celebrity Hypnotist and tagged hypnosis, richard barker. 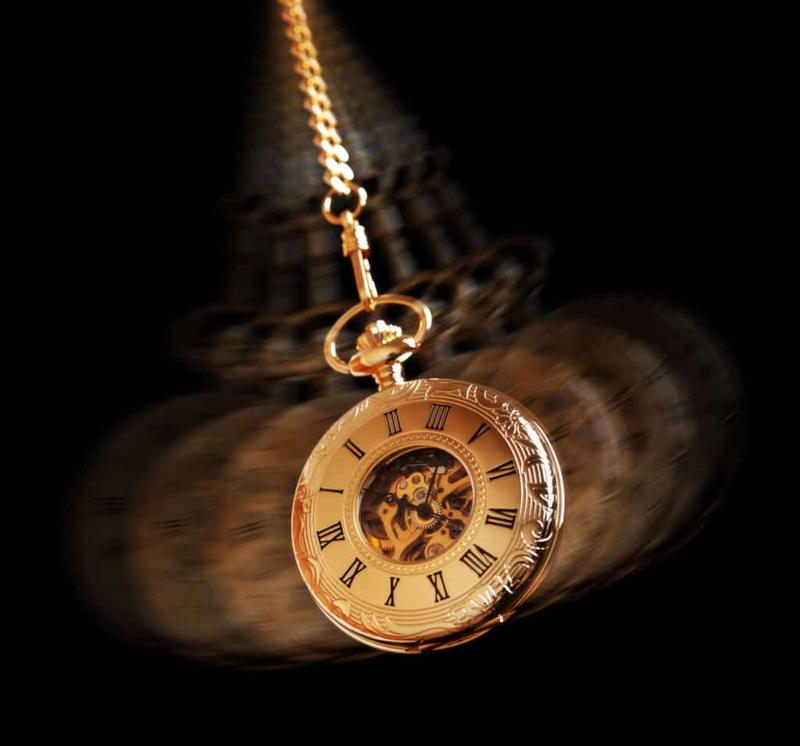 Does Hypnosis Show Sound Matter?